This is the oldest museum on the ´Island of Museums`, in fact ´Altes Museum` actually means ´Old Museum`. 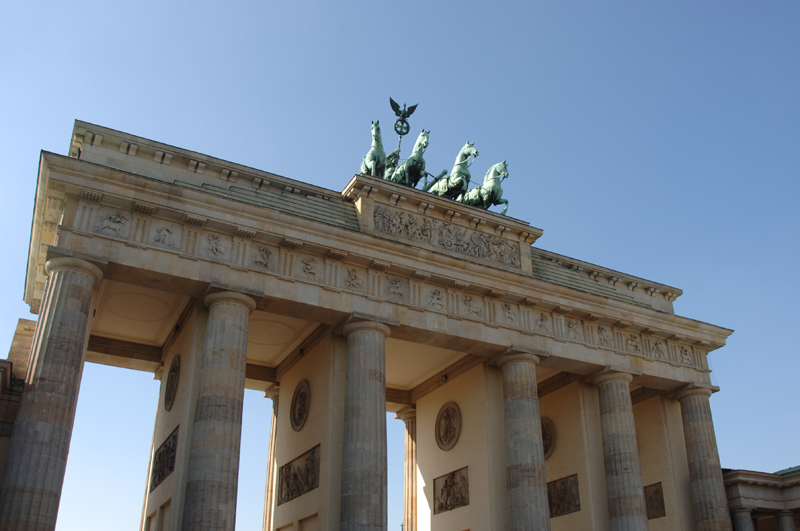 It was built between the years 1825 and 1828 in front of the no longer standing Berlin Castle, following designs by the architect Karl Friedrich Schinkel. It is a neo-classical style building inspired by Greek architecture. Its impressive eighteen Jonick style columns are examples of this. In addition, in the central part of the Altes Museum there is a platform on the ends of which stand two sculptures representing different scenes: ´The fighting Amazon woman` and ´Fight with the Lion`. The main body of the building is raised onto a form of pedestal, giving it great height and protecting it from possible floods caused by rising waters in the river. In fact, during its construction part of the river’s course was redirected and canals were built to create enough space in which to build the museum. After necessary restoration work following the Second World War, the Altes Museum opened again to the public in 1966. To access its interior you will have to pass a spectacular circular gallery, inspired by the Pantheon in Rome, and made up of eighteen statues of Zeus and other Gods. Here you will be able to see temporary exhibitions and part of the collection of classical antiquities. Spread out in various sections, the collection is displayed in roughly chronological order, although there are also sections dedicated to specific subjects. For example, section 4 contains a never-ending supply of bronze helmets and weapons from Olympus. Section 14 is home to decorated ceramics representing festivals and orgies, while in number 20 there is splendid silver treasure. However, what most stands out in this museum is the floor dedicated to Ancient Egyptian treasure, located in the Egyptian Museum and Papyrus Collection. This consists of a 1,300 square metre area displaying objects which take in 4000 years of the country of the Nile. With its mommies, papyruses and sculptures, it is one of the most impressive Egyptian collections in the world. The star attraction, and one of the most famous pieces in Berlin, is the bust of Nerfertiti, dating from the year 1340 B.C. This is an object of approximately fifty centimetres, made of limestone, plaster and rock crystal, in the image of the beautiful Egyptian queen, wife of the Pharaoh Amenofis IV. German archaeologists discovered it in 1914 while excavating in the city of Armana, next to the Nile. The objects of the Egyptian museum will be on the upper floor until 2009, the year in which they will be moved to the Neues Museum (New Museum). The collection of papyruses is also excellent and documents of different variety are on display here: marriage contracts, stories and judicial sentences are a few examples. It is one of the most extensive in the world. The Altes Museum is, without doubt, an essential stop on any visit to Berlin. And you cannot go home without at least having seen the bust of Nefertiti, and coming to the conclusion that, after almost 3,300 years, she is still as beautiful as ever.